The competition is in line with the student’s curriculum for the subject Independent Practice. Students were briefed recently to create graphic works in any form they select including: sculpture, poster, art on paper, painting, mixed media and electronic medium. As part of Telkom’s initiative to promote recycling through the visual arts, the students were given blue boxes and frames – donated by the Telkom Art Collection – to express what “Telkom Convergence” means to them through graphic design. The competition work will be photographed and the photos will be placed on Telkom’s Facebook page for judging. Fifteen finalists will be selected from the student group of 38. 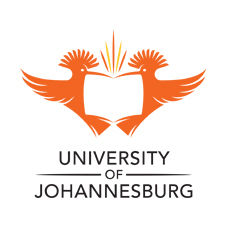 The UJ lecturers will select the finalists and their works will be uploaded to the Facebook page. Final judging will be conducted by a panel of lecturers and the Telkom art curator to select three overall winners who will be awarded a mobile device. “The initiative will see students gaining valuable experience of working for a client and will initiate them into the business world. This collaboration is an opportunity for Telkom to engage with the youth as well as show our support for a tertiary institution,” say Sophia Van Wyk, Telkom’s Art Curator. “We are proud to be part of a partnership that lends itself to our continued investment in the future of the cultural and visual heritage of South Africa,” concludes Van Wyk.